Beatniks like Jack Kerouac and Allen Ginsberg, Hettie Jones and Joyce Johnson, and other creative types rebelled against the dominant culture of the 1950s, and their aesthetic was a contrast to 1950s style, too. The Beats' influence was huge, and many of today's most prevalent styles are derived from the basic beatnik look. Draw on the Beats as fashion inspiration but update the look for the 21st century for a perfect look today. Women's style in the 1950s was all about full skirts, tiny waists, and lots of color, pattern, and ornamentation. By contrast, beatnik style was pared-down, spare, and lean. The look has been tremendously influential over the years. Indeed, Yves Saint Laurent solidified its importance in his 1960 show for Christian Dior, and today's minimalism has its origins in beatnik style. It's easy to get this same look today. In fact, the modern beatnik's look is fresh and versatile. Best of all, you may have some of the building blocks in your closet already. If not, they should be readily available, and at a wide range of price points. To create your own modern beatnik style, stick to clothes with clean lines; neutrals, especially black; and a clean silhouette. You won't need a tremendous number of items in your wardrobe to create a beatnik outfit. After all, the Beats were reacting to the excesses of the 1950s, so for them, less was more. A foundational part of beatnik style is the turtleneck. A crewneck T-shirt or sweater is a variation on this theme. These could be done in a thicker material, like wool, or in cotton for warmer weather. Black is the traditional choice, but a great update would be to wear a navy turtleneck and pair it with one of the bottoms mentioned below. (Although it's a less traditional option, the navy is better for warmer complexions than black, and more flattering for older women as well.) The turtleneck should be plain, with little if any detail or ornamentation except perhaps some ribbing. A great source to find turtlenecks, and basics of all kinds that fit the beatnik look including ankle-length pants and sweaters, is Uniqlo. This extra-fine merino wool turtleneck from the retailer captures the Beat look perfectly. It comes in sizes XXS-XXL and costs about $30. It's available in a wide range of colors, including Beat-appropriate navy and gray, as well as black. For the most part, beatnik style calls for a sleek silhouette overall and especially on bottom. (The exception is a boyfriend jean.) Pair your turtleneck with a Capri pant or slim trouser. Think Audrey Hepburn in the movie Funny Face and you've got the basic Capri-plus-turtleneck look. Look for ones with a thin or no waistband, so there's no need for a belt. If you do add one, choose a casual one in a simple leather; avoid anything too polished or fancy. Alternatives include black skinny jeans or thick leggings. Nordstrom is a great retailer for Beatnik bottoms. To reflect the pared-down Beat aesthetic, keep them simple. These Skinny Ponte Knit Pants by Halogen are a good example of a slim trouser and come in regular sizes XS to XL and in petite sizes, XXS to XL. The clean lines of the waistband keep the look simple and spare. They're made of rayon, nylon, and spandex, and cost around $70. Everlane is another option for lots of beatnik-inspired style, especially trousers and slim pants, two styles that are essential to the beatnik look. The store is also unusual in its emphasis on classic clothes made in ethical factories; every piece of clothing links to information about the factory where it's manufactured. The aesthetic is clean and simple, perfect for an updated Beat style. The Go Weave Crop Trouser can go to work with a black turtleneck and booties or out for dinner with a black bodysuit and ballet flats. It's done in wool and comes in both black and navy in sizes 00 to 12. You have a few different options when it comes to jeans. High-waisted jeans are perfect for modern beatnik style; pair them with a black bodysuit for an updated look. A boyfriend jean works, too, paired with an oversize man's shirt in white or an oversize pullover sweater. Try the 721 High Rise Skinny Jeans, available from Levi's. Available in 23 different washes and done in a tailored flattering style, these are easy to pair with a variety of Beatnik-inspired tops. They come in waist sizes 24 through 34, and lengths in 28 through 34. Done in stretch denim with a slim fit in the hip, these retail for about $80. Beatniks love their striped T-shirts, also called Breton T-shirts. You can find both the classic, original version today, as well as many variations, with interesting sleeves, necklines, colors, and so on. To stay true to the Beat aesthetic, stick with a simple, long-sleeve version, in navy or black with white or ivory. A great source for striped T-shirts is St. James. Look for a classic black-and-white stripe with long sleeves, like the Minquiers Moderne Unisex Breton Stripe Shirt. Or, if it better suits your coloring, try black and ecru. The classic Breton T-shirt comes in 11 color combinations. Sizes are XS-4XL. Since they're unisex, make sure to check the size guide before you order. It comes in cotton and costs around $75. Another place to try for these tops is La Ligne, a New York-based company that specializes in stripes of all kinds. Not all of them work for modern beatnik style, but many would be excellent additions to your Beat wardrobe. 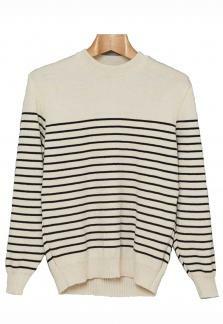 The cashmere AAA Lean Lines Sweater is a luxe update of both the classic Breton T-shirt and the oversize sweater. It has contrast cream rib-knit cuffs and elongated sleeves. It comes in sizes XS-L and costs around $275. Another option is the Black Lean Lines Tee, which is about $115. It's done in lightweight cotton and comes in sizes XS-L. It has a body skimming fit and straight-cut sleeves. Paired with skinny jeans and simple footwear, it's a great example of current Beat style. A black twill or stretch cotton jersey pencil skirt, either above the knee or just below it, is perfect for the beatnik wardrobe. To adapt this style to the office, you could look for one that's a little more formal and polished, say, in wool or a wool blend. This Ponte Midi Skirt by Vince Camuto from Macy's fits the bill well; the stretch makes it modern and keeps it from looking too fussy or formal; the midi length provides an update. It comes in regular sizes XS-XL and in petite sizes, XXSP-LP. It's made of polyester, rayon, and spandex and costs about $70. The Beats favored simple footwear, generally opting for ballet flats or loafers. Fortunately, both are extremely versatile and comfortable. Choose versions in black that are simple rather than embellished, plain leather or suede rather than snakeskin or velvet. Beatniks also like their boots. Look for a short ankle boot to pair with slim trousers and pencil skirts, either with tights or bare legs. Turn to shoe megastore Zappos for the best selection of footwear for this look. 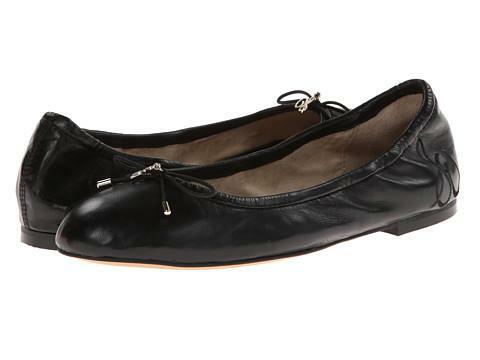 You'll want to choose ballet flats, loafers, or boots with little or no embellishment. Consider the highly rated Sam Edelman Felicia. It comes in 10 different colors, but either the black leather or suede are truest to the Beat aesthetic. They cost around $100. Iconic, original leather ballet flats made in France and popularized by beatnik It girl Brigitte Bardot are available by Repetto. You can find them in 41 colors in the classic style, Cendrillon, on the company's website, but stateside it's easier to get them at Zappos. The Cendrillon at Zappos comes in five colors and in sizes 4.5 to 11.5. They cost around $300. The Blondo Villa Waterproof ankle boots, done in a simple black leather with a sleek short stacked heel are something that could align with a modern beatnik aesthetic. They have a simple side zipper and are done with a soft insulated liner and cushioned footbed. Get the look in sizes 5.5 through 12 for about $150. To create a sleek silhouette, consider pairing a bodysuit with your trousers or pencil skirt. You can find bodysuits such as this Rib-Knit Short Sleeve Bodysuit by ATM Anthony Thomas Melillo at Bloomingdale's in rayon and spandex. It comes in sizes XS-L and costs $185. All manner of jackets work for this look. Borrowed-from-the-boys jackets look great when topping a pencil skirt and bodysuit or turtleneck. Try a bomber or leather jacket, or a trench coat. Abercrombie & Fitch offers a great Classic Trench Coat, available in olive, dark grey, and khaki that could work with this style. Its lack of embellishment and simple lines make it versatile, too. Lightweight and reviewed as a classy style from buyers, this coat comes in XS through XL for about $160. 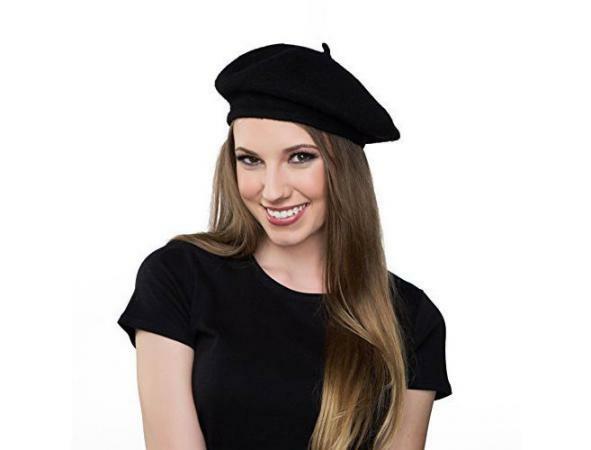 A black beret or fisherman's hat was a staple of beatnik style; these both look fresh and modern today as well. You can find these at many retailers and at a variety of price points. Anthropologie, for example, carries the Bonnie Beret, a simple wool beret done in a slouched style. It comes in four shades, but the black works best for a beatnik vibe. Purchase it for about $38. In the 1950s, Eastern cultures and religions began to influence American culture, and accessories often reflected these influences. Anything handmade looking, hammered, or organic in style would be appropriate. Search for inexpensive finds in silver to complete your beatnik style, and stay away from anything precious-looking, such as gemstones or gold. Etsy is a treasure trove for many types of vintage finds, including berets and simple jewelry of the kind worn by a modern beatnik. These oxidized silver disk earrings, for instance, would complete your updated beatnik look. They're an inch long and sterling silver. They cost about $44. Ten Thousand Villages sells crafts and other products from around the world, made by local artisans using local materials. You can find many pieces of jewelry here to complement your modern beatnik clothing. A good example is this Mosaic Treasure Vase Pendant made of faux turquoise and metal; it's 16 inches long and adjustable. It costs about $50. Complete the look with either a pair of quirky glasses or some 1950s-style sunglasses. Look to Warby Parker for slightly quirky, hip eyewear that will finish off your updated beatnik style. The Ames eyeglasses in jet black have the half-rim that was popular in the 1950s yet looks very modern today. They start at $145 with prescription lenses. Images of Beat women rarely show bags, but the modern beatnik needs a one for toting her stuff around. She should have something practical and convenient, such as a messenger or cross-body bag, but nothing so big that it becomes a burden. A slouchy hobo is also a perfect contrast with this pared-down aesthetic. 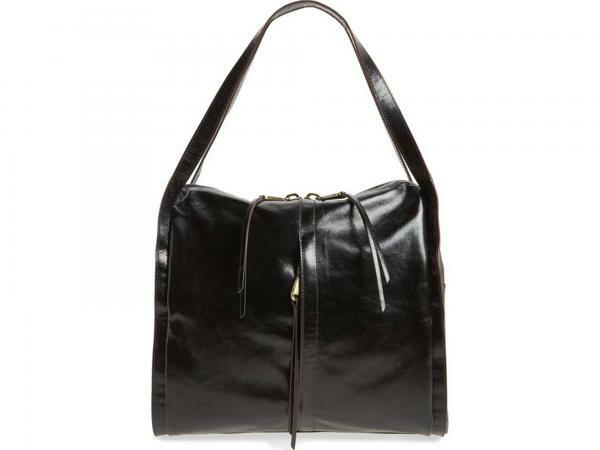 Try the leather Century Shoulder Bag from Hobo International. It echoes classic 1950s style but is updated for today. It has interior and exterior pockets and a zipper closure. Measuring 13 inches by 10 inches by six inches, it comes in five colors and costs about $300. Naturally, you'll need a hard-copy day book or journal to complete your modern beatnik style. Many Beats wrote in spiral-bound notebooks, but this is an update that works perfectly. 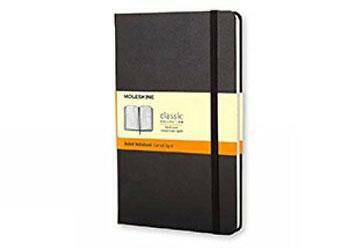 It's a basic but classic leather-bound notebook the size of a large index card and costs about $15. Beyond retail shopping, there are a few other places to look for styles. Your favorite guy's closet. Ask your brother, dad, or significant other if you can borrow a pair of his jeans and a white shirt. Vintage clothing stores and consignment shops. Look in the men's section of the store for oversize white shirts, and you'll also likely be able to find both black and white sweaters of all kinds. Thrift stores. If you're looking to create a beatnik look for not a lot of money, consider your local thrift store. Chances are excellent you can find tops like black turtlenecks and T-shirts, oversize white blouses or men's shirts, and especially boyfriend or high-waisted jeans. Unlike some fashion statements, beatnik style isn't difficult to create on your own. This look is modern and streamlined, and it's perfect for anyone who wants to keep her wardrobe and overall look spare and minimal. As a bonus for some, modern beatnik fashion makes it possible to look stylish and pulled together without a huge budget or wardrobe. Here are some tips to follow. Use a simple color palette: black, white, navy, with maybe a little denim, gray, or khaki thrown in. Stick to simple silhouettes. The Beats wore plain clothes; anything fancy was not part of their ethos. Asymmetry, lots of zippers and other hardware luxe fabrics, ornate designs, and too many pockets, ornamental seams, and the like are not part of the look. Choose simple fabrics, like denim, cotton twill, merino wool, or cotton jersey. Opt for low-tech fabrics rather than high tech, and solids rather than patterns. Avoid aping any particular exact look you find in a historical image. Doing so will make you look as if you're wearing a costume. Make your look your own by adding sentimental jewelry or your own individual statement pieces. The idea is to express your style, not bring a historical look to life. When shopping at vintage stores, make sure the clothes will look modern once you've made an outfit with them. Keep makeup simple. Eyeliner and mascara and some lip gloss will do; anything too carefully applied or overly done is not in keeping with this style. Hair should be simple, either a short, unfussy look or long, straight hair pulled back in a ponytail or with a wide headband. To update the look, it's fine to branch out selectively to add pieces and colors other than the obvious beatnik choices. With color, make sure to keep your outfit mostly neutral, since that is key to the look. Look for other ways to update your modern beatnik look. 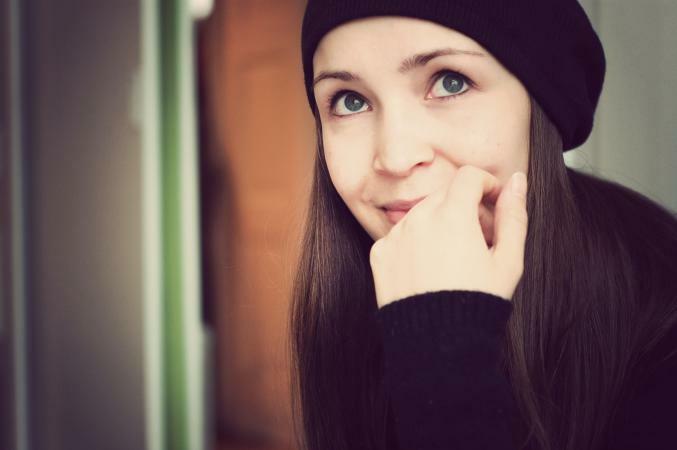 For instance, you might choose to wear a fedora instead of a beret to make the look more modern, or wear a small structured bag or carry a clutch instead of using a messenger or hobo bag. Beatnik style is for women who don't want to look as if they're focused on complicated and time-consuming clothes, accessories, and grooming. If you're a modern beatnik, you're having way too much fun and are spending your energy on your creative pursuits instead. In short, despite having its origins more than 50 years ago, the beatnik style is an easily achieved update for most women today, regardless of age, size, or budget.